Barnes, London: During his brief tenure, the previous owner of this elegant early Victorian stucco fronted house in Barnes had virtually demolished the interior, including the stairs. 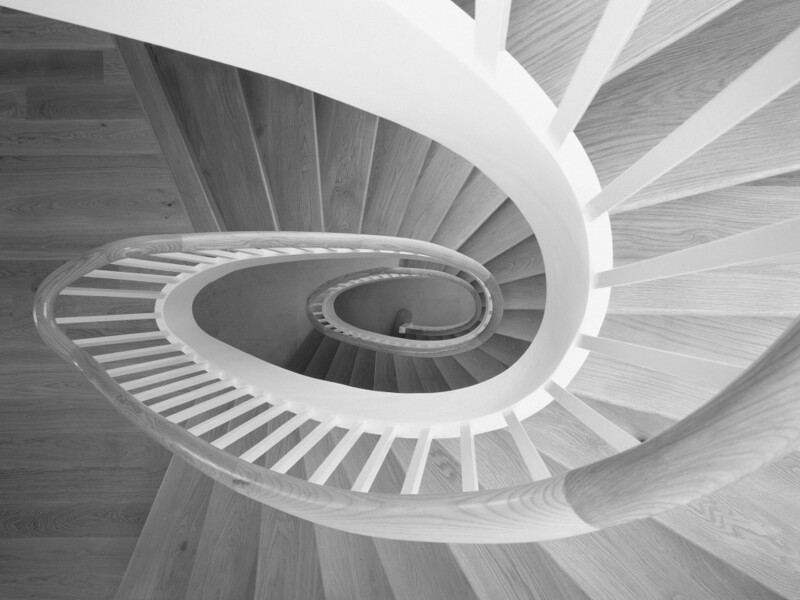 We obtained planning consent from the London Borough of Richmond for a new cantilevered wooden staircase in a glass tower at the rear creating larger spaces at each floor level. Interior mouldings and panelling were restored and the new elements designed to blend with the original. Winner of Wood Awards small project award, Published House and Garden Feb 2014. 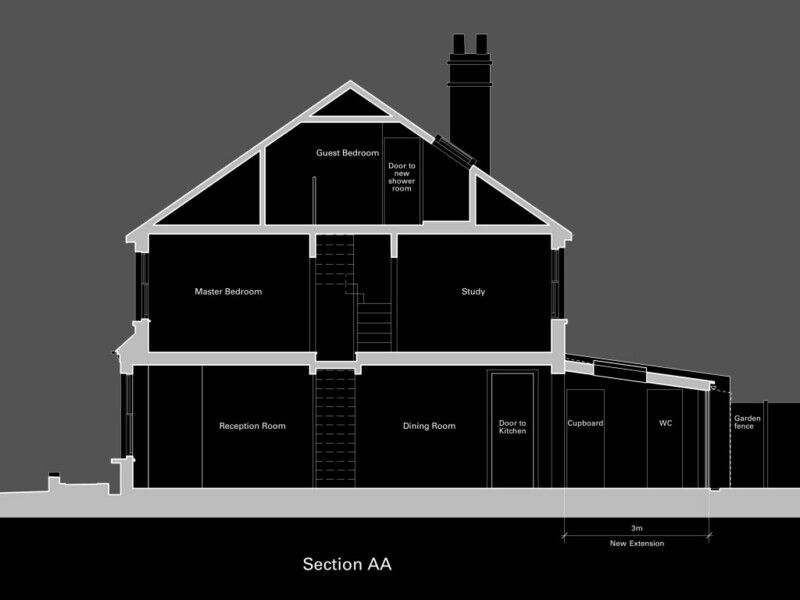 HEAT have gained planning consent from the London Borough of Richmond for the conversion and extension of a cottage in Twickenham. 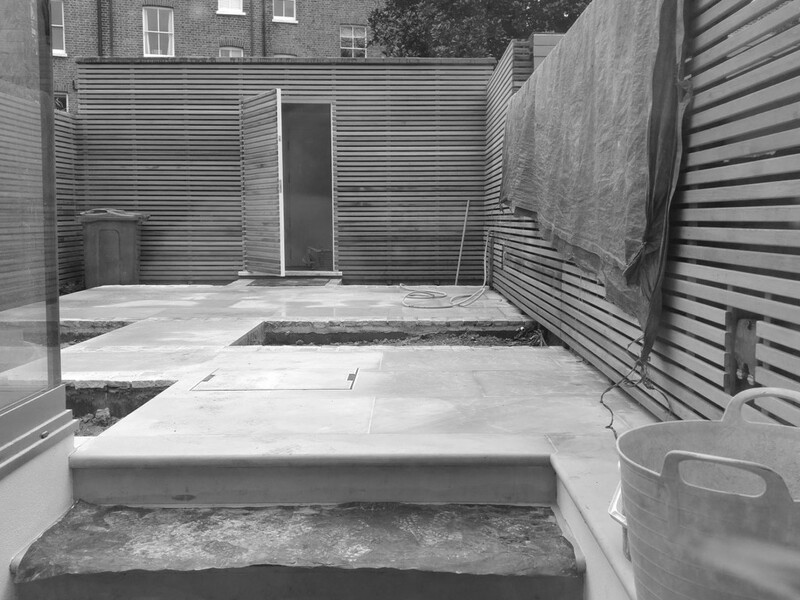 This was a comprehensive scheme that involved stripping the house, which was in terribly neglected condition, back to bare bones and re-configuring it. Nevertheless it was economical and the entire scheme was completed in six months including planning consent. Normally the extension would not have required planning permission, but the permitted development rights in this area of the borough had been removed by means of a rather draconian “article 4 direction” so that the conservation team can control the details of developments.